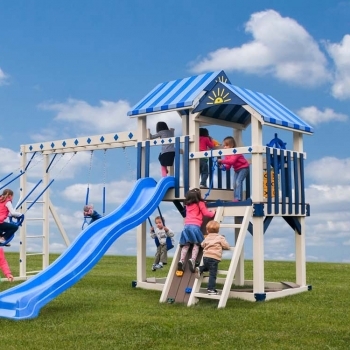 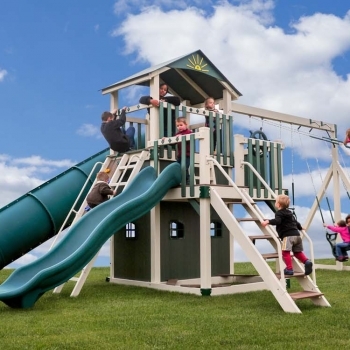 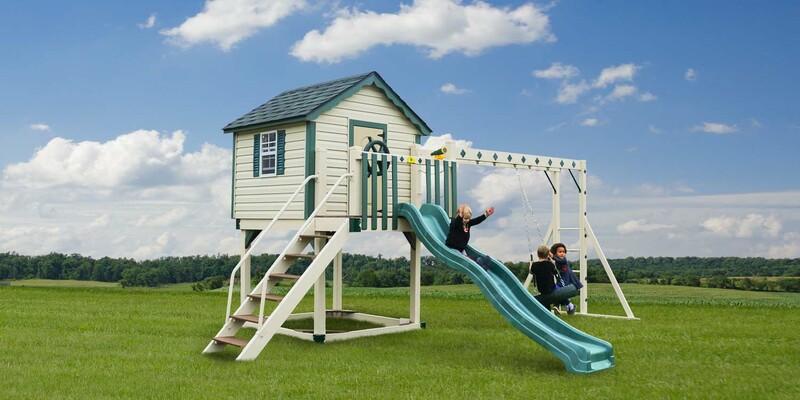 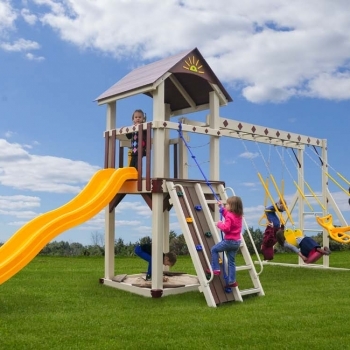 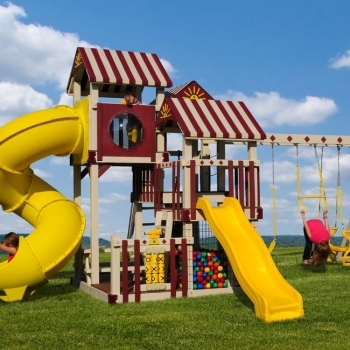 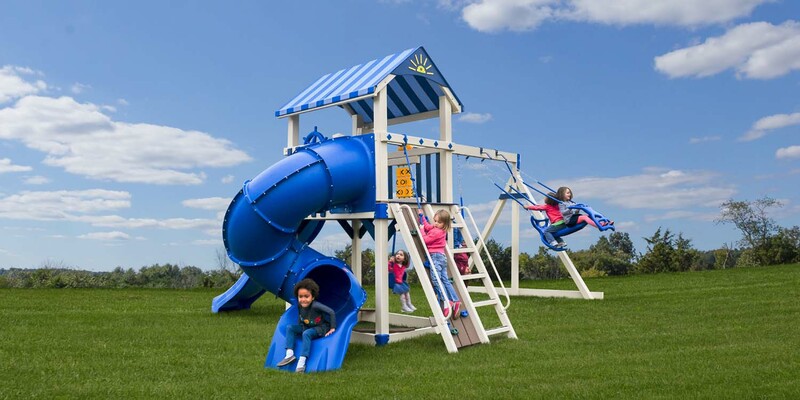 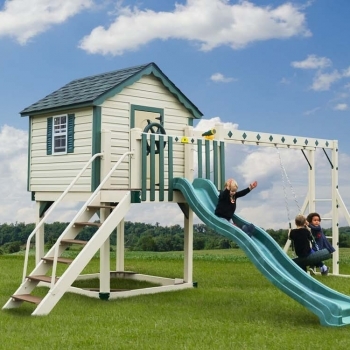 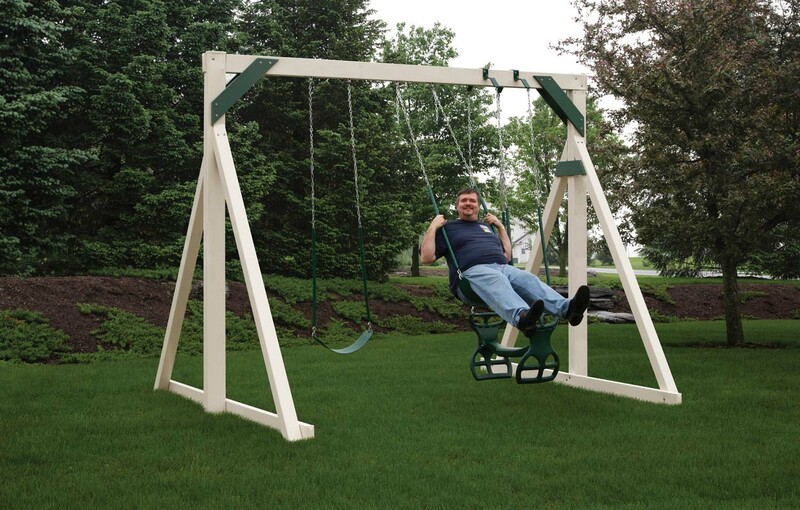 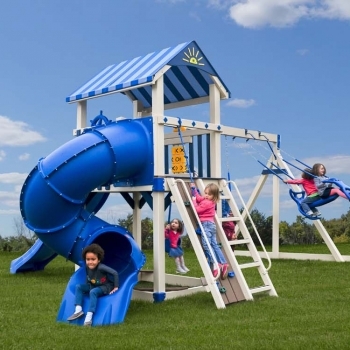 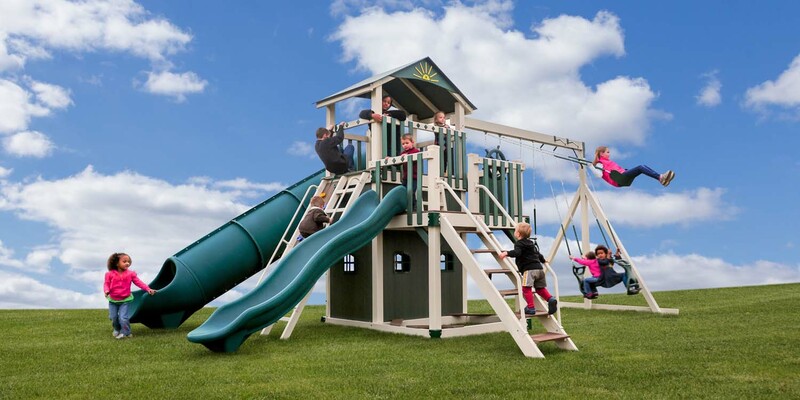 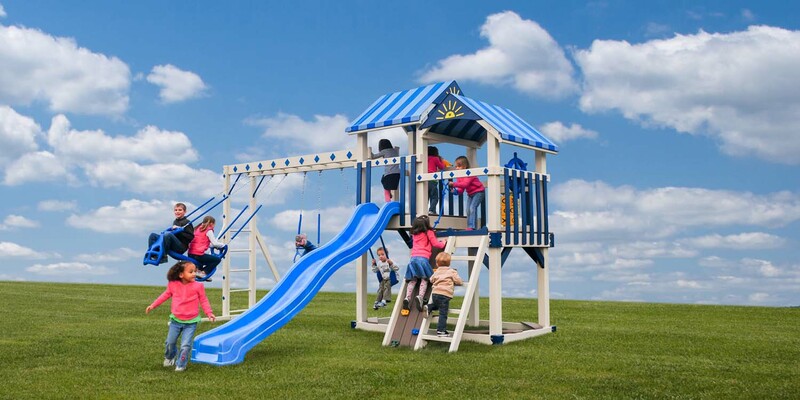 Made by some of the finest Amish craftsmen in the country, our swing sets will provide long hours of fun for your children and grandchildren. 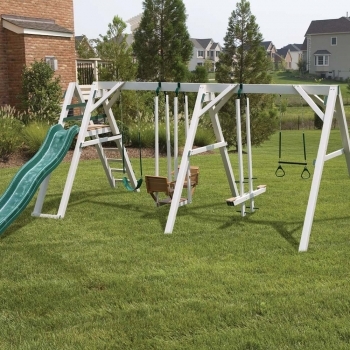 We make sure our swing sets are safe. 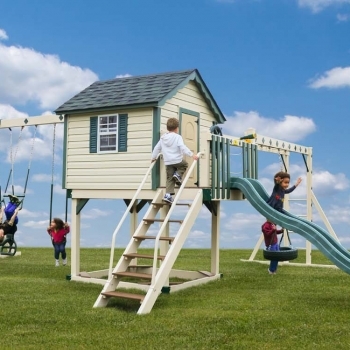 Built to support adult weight, the deck surfaces can bear up to 250 pounds and most rides up to 200 pounds (except plastic gliders). 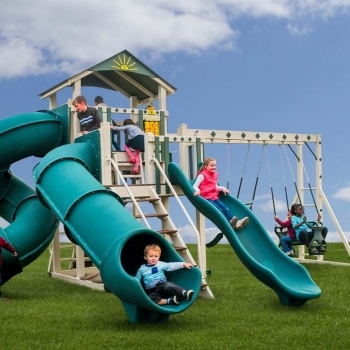 So parents, you can play along with your kids! 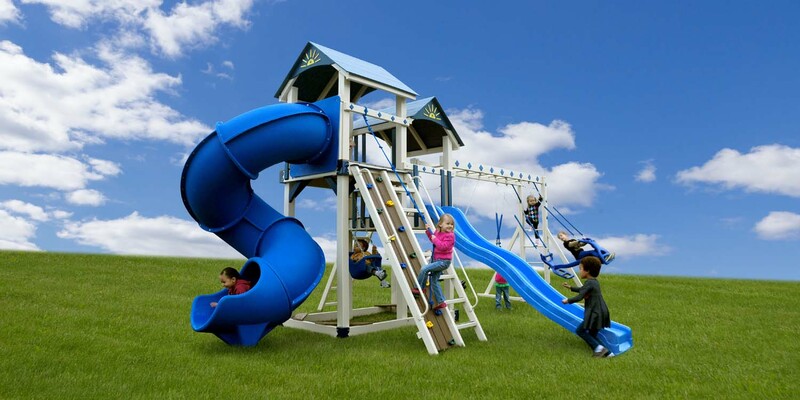 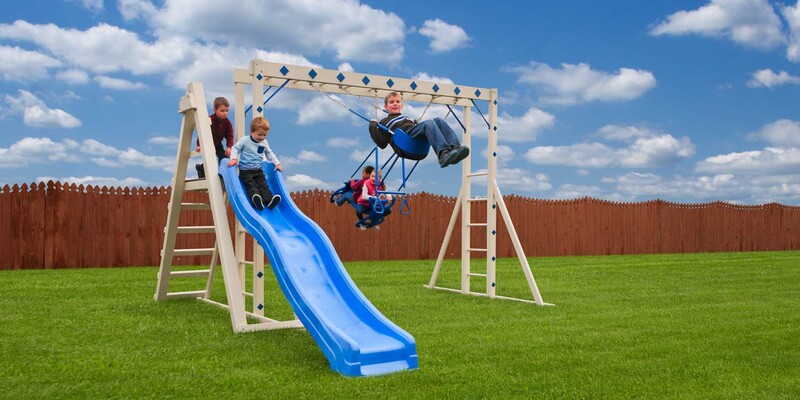 Swing sets are unmatched for aiding in children’s physical, mental, social and emotional development. 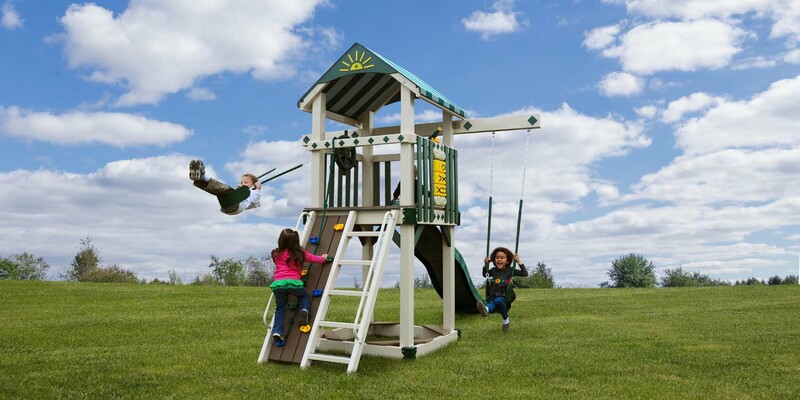 Exercising in fresh air stimulates muscle growth, increases coordination, and develops the mind. 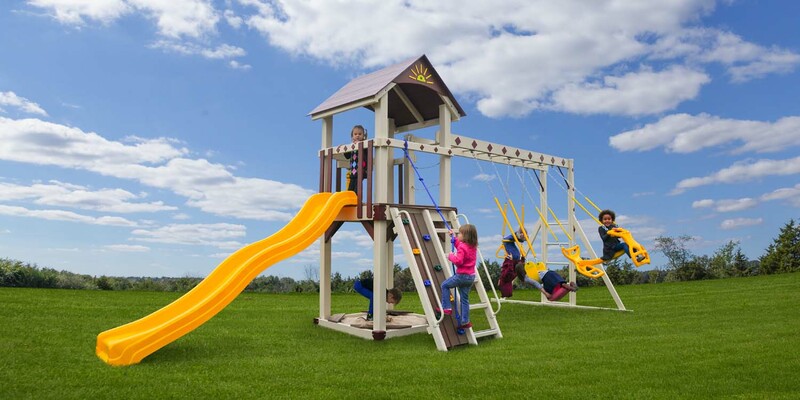 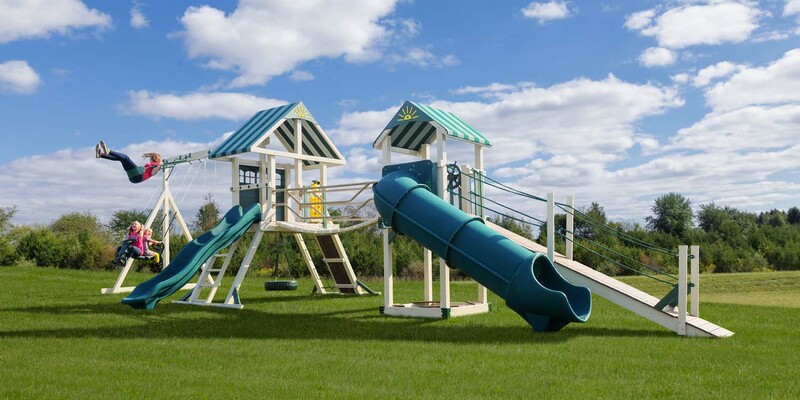 Our swing sets are made by the finest craftsmen in the county, our swing sets will provide long hours of fun for your children and grandchildren. 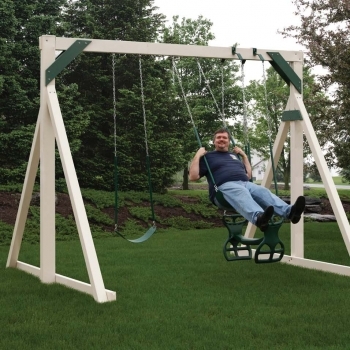 We make sure our swing sets are safe, they are built to support the weight of a adult. 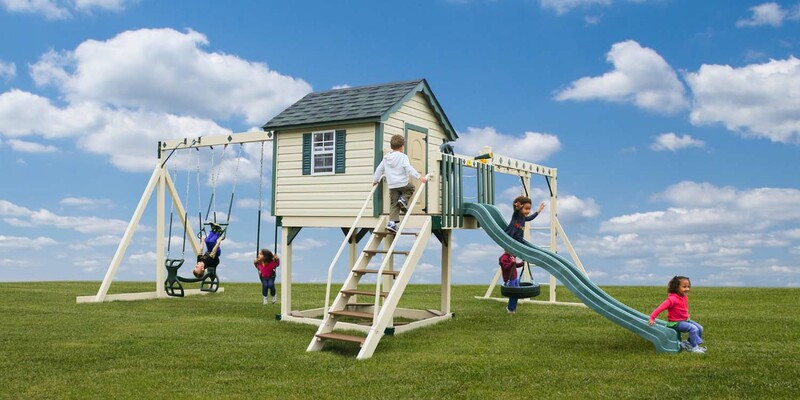 The deck surfaces can bear up to 250 pounds and most rides up to 200 pounds ( except plastic gliders) So even the parents can swing along and play. 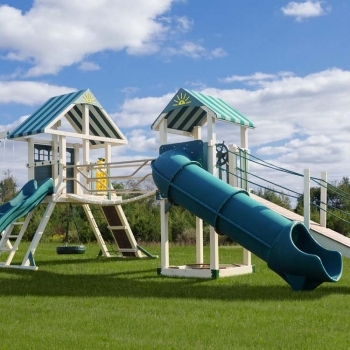 All the lumber is sanded to be plinter-free with rounded corners and edges. 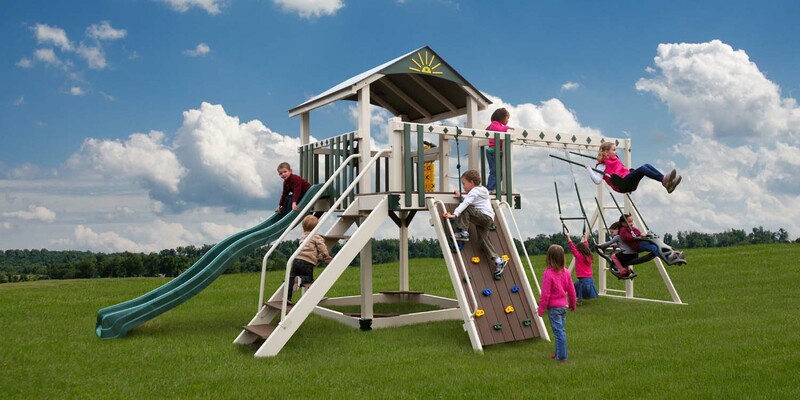 Excercising in fresh air stimulates muscle growth, increase coorindation and develops the mind. 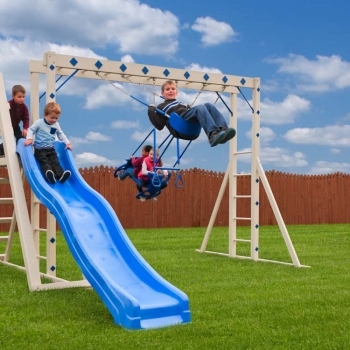 We also offer a full line of vinly swing sets, these are still a wood core for strenght but wrapped in a maintence free vinly. 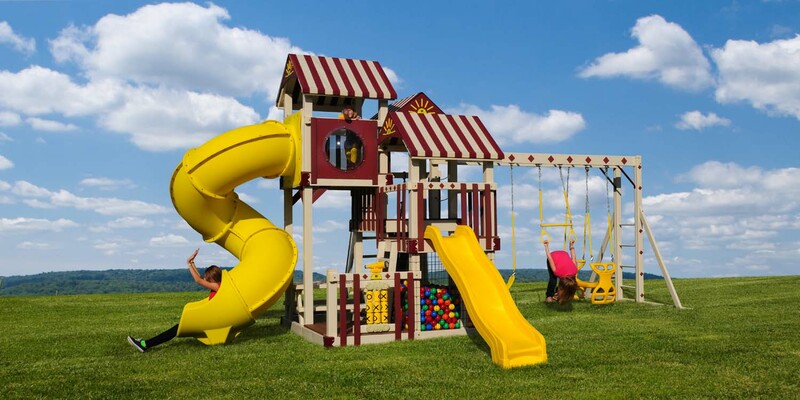 There are lots of color combinations to choose from in both the wood and vinly sets, most accessories are available as well in different colors. 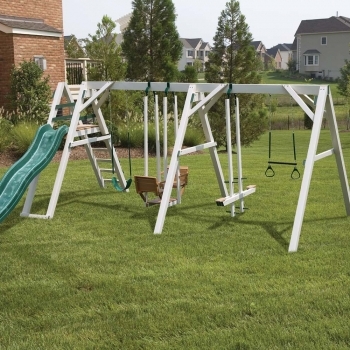 We have lots of standard models to order from or you can create your own. 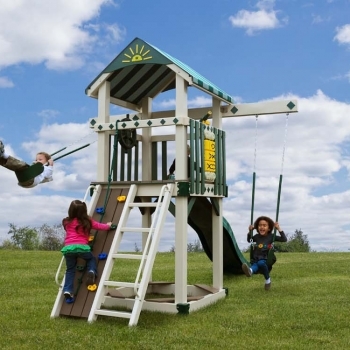 Time outside lowers children’s risk of hyperactivity and depression. 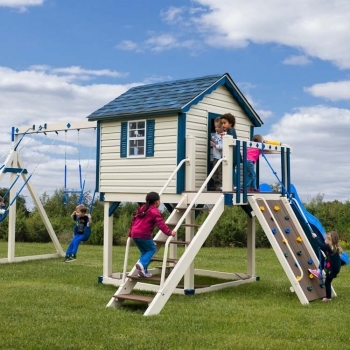 Outside play stimulates kids’ imaginations, expanding their creative thinking. 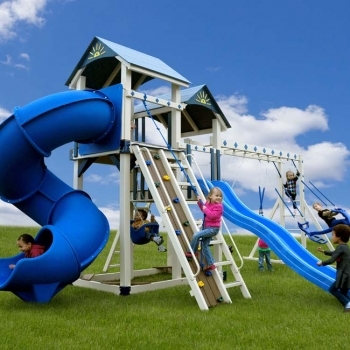 Children who create and play together face-to-face get along better with others. 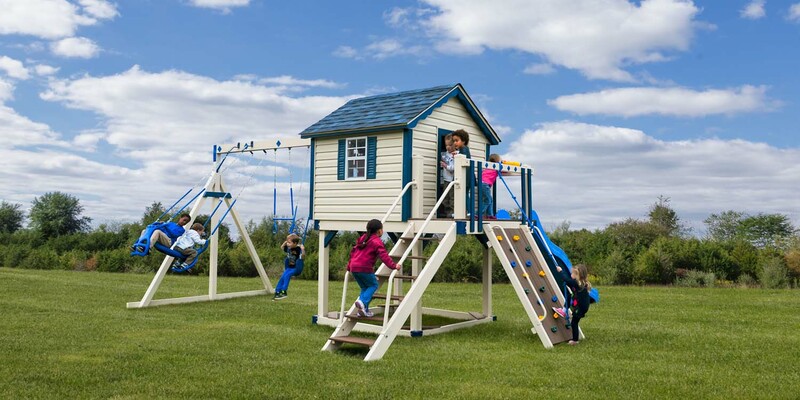 Children who spend time outside are calmer. 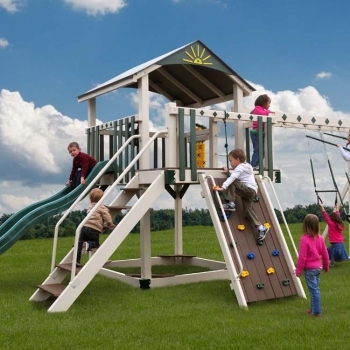 Fresh air and exercise help stave off infections, colds, and the flu. 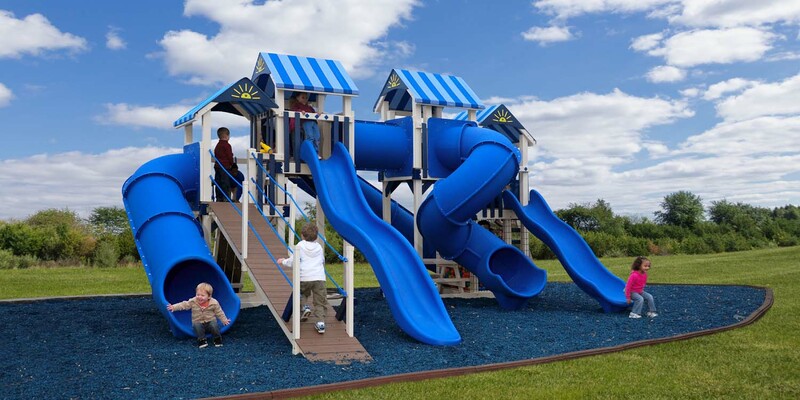 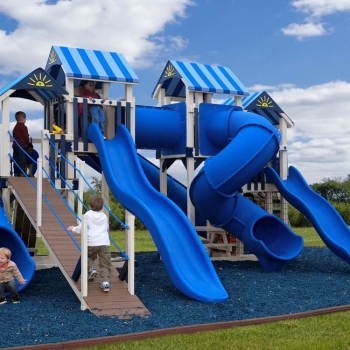 Our slides and plastic accessories are made from a heat resistant plastic. 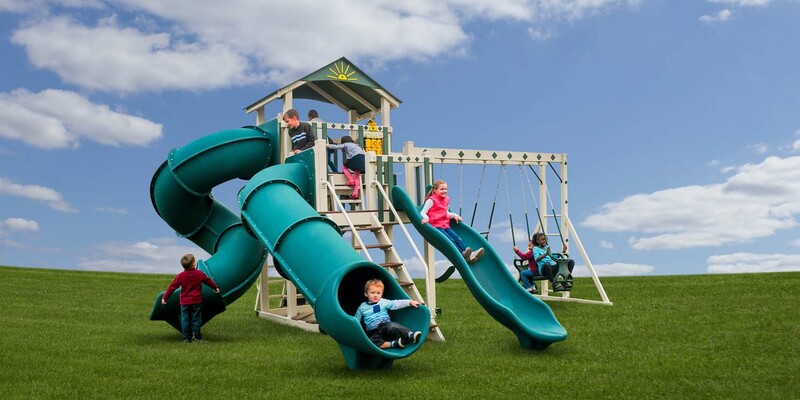 This feature gives parents the peace of mind that their children can enjoy our products even on the hottest days of summer!